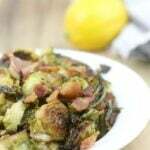 Sautéed Brussels Sprouts topped with a lemon and Dijon vinaigrette, then sprinkled with Parmesan cheese and bacon—a new twist on a favorite vegetable! 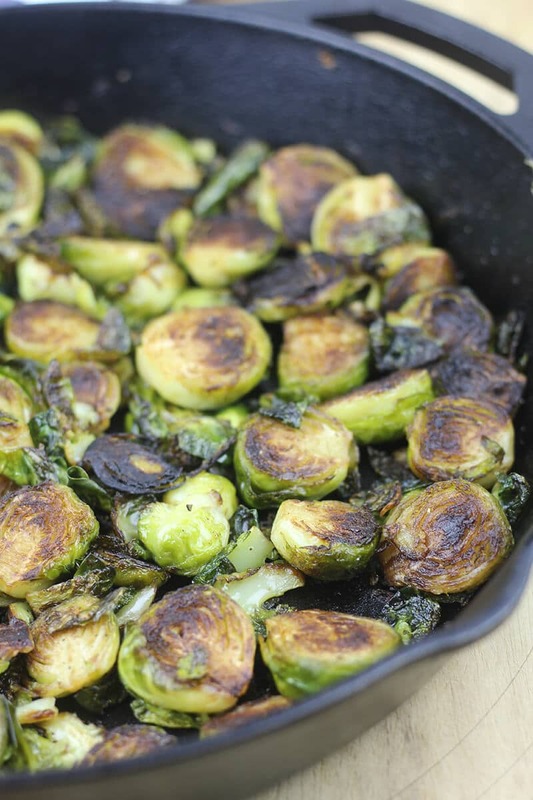 So you might have noticed that I have a thing for Brussels Sprouts—this is the third Brussels Sprouts recipe to make this site. The first, and maybe my favorite, was for Caramelized Roasted Brussels Sprouts, sprinkled with a little brown sugar, chili powder and cumin, and roasted in the oven. The next was for Maple and Balsamic Glazed Brussels Sprouts, which may also be my favorite: sautéed in a skillet and finished with a maple syrup-balsamic vinegar glaze and sprinkled with crispy bacon. Now I bring you these Sautéed Brussels Sprouts—cooked until slightly charred, then roasted in the oven until tender, and finished with a Lemon-Dijon Vinaigrette, grated Parmesan cheese, and crispy bacon. This recipe was inspired by the most amazing Brussels Sprouts I’ve ever had, which can be found at Bavette’s Bar & Boeuf, a fabulous steakhouse in Chicago. You can read more about Bavette’s in this post about our recent Chicago trip. The Brussels Sprouts at Bavette’s are charred, and for a home cook without professional cooking equipment, there’s a fast, fine line between charred and burned. You have to keep an eye on these sprouts and turn them frequently. I like to start by cooking the bacon so I can use the bacon grease when cooking the sprouts. After you remove the bacon from the skillet, add a little butter and when it’s sizzling, place the sprouts cut-side down in the skillet. 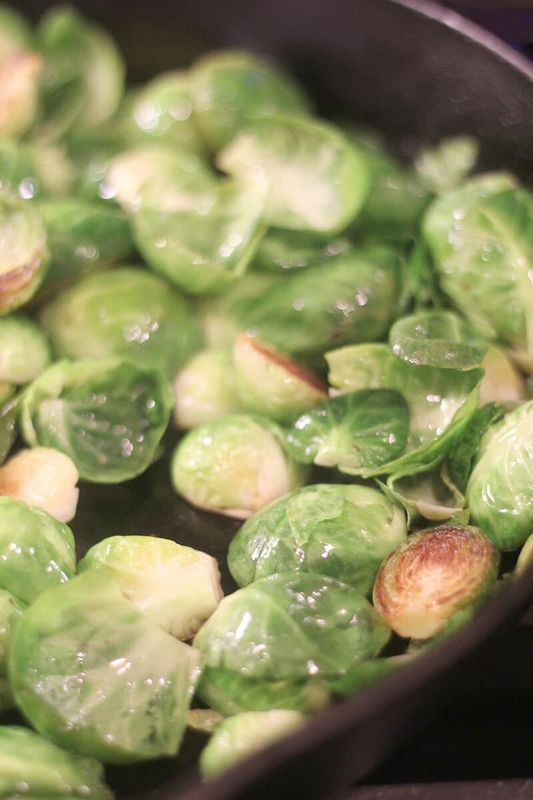 Then allow the sprouts to cook for a few minutes, until they start turning a nice, solid brown. You’ll have to check some of the smaller ones first so they don’t burn. I usually drizzle in some olive oil partway through the cooking process to keep the sizzle going, then start stirring gently and sort of move to the side the ones that are brown so you can turn down the ones that are not. Continue this stir, move, turn process until all the sprouts are nicely browned. Then place the skillet in the oven until the sprouts are tender. 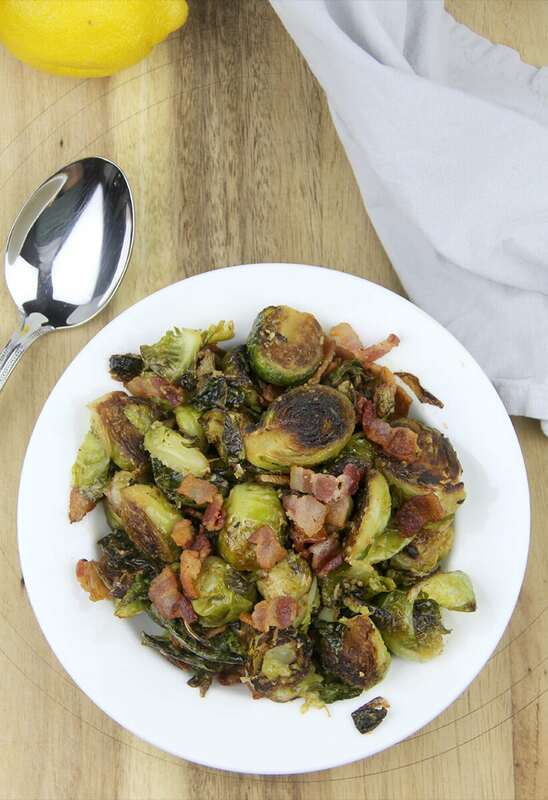 Remove the Sautéed Brussels Sprouts from the skillet and stir in fresh lemon zest, Lemon-Dijon vinaigrette, grated Parmesan, and crispy bacon and voila! You’ve just created a new favorite vegetable dish! Try these Sauteed Brussels Sprouts with chicken or fish for a light dinner. 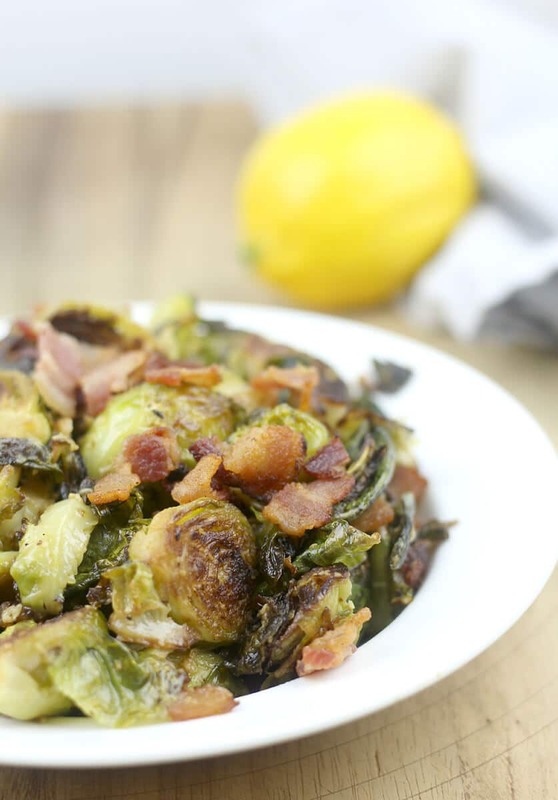 Brussels sprouts sauteed and topped with a lemon and Dijon vinaigrette, then sprinkled with Parmesan cheese and bacon—a new twist on a favorite vegetable! Cook bacon in skillet over medium-high heat until crispy and then remove from skillet. While bacon is cooking, trim and halve the sprouts. Leave about 1 tablespoon bacon grease in skillet and add 1 tablespoon butter. When butter is melted and sizzling, add sprouts cut side down. If all the sprouts won't fit you can place a few on top but if you have a lot that don't fit then you'll need to cook in two batches. Cook sprouts on medium-high for 3-4 minutes until starting to brown. Sprinkle salt and pepper on the sprouts. 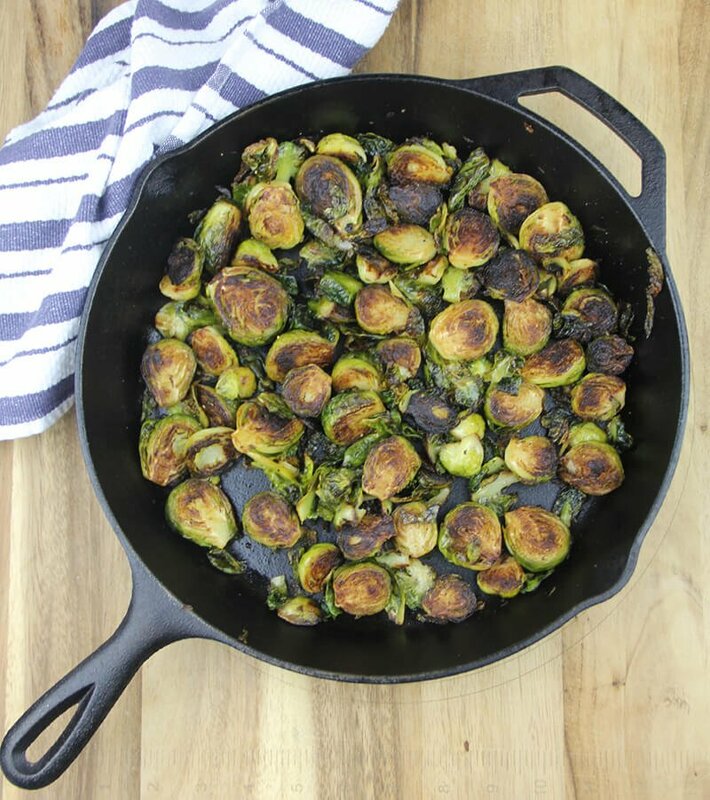 Drizzle a little olive oil over the sprouts to keep the skillet sizzling and stir them around gently, turning different ones cut-side down. Allow to cook for a minute, then stir and turn different ones down. Continue this process until all the sprouts are well-browned. Watch carefully and make sure you don't leave one turned down too long because they can burn quickly! Once the sprouts are well-browned, place in oven for about 15 minutes, until tender. Check them every few minutes and make sure they are not burning. Remove skillet from oven and place sprouts in a bowl. Stir in lemon zest and vinaigrette. Gently stir in Parmesan cheese and bacon. Add salt and pepper if needed. 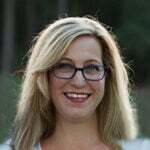 Previous Post: « Chili Mac and Cheese – Two Comfort Foods, One Pot!